In today’s world, random acts of violence dominate our television screens. It seems like every day there’s another massive tragedy that overwhelms families and communities in fear and grief. Wouldn’t it be nice to turn the news on and see nothing but random acts of kindness? 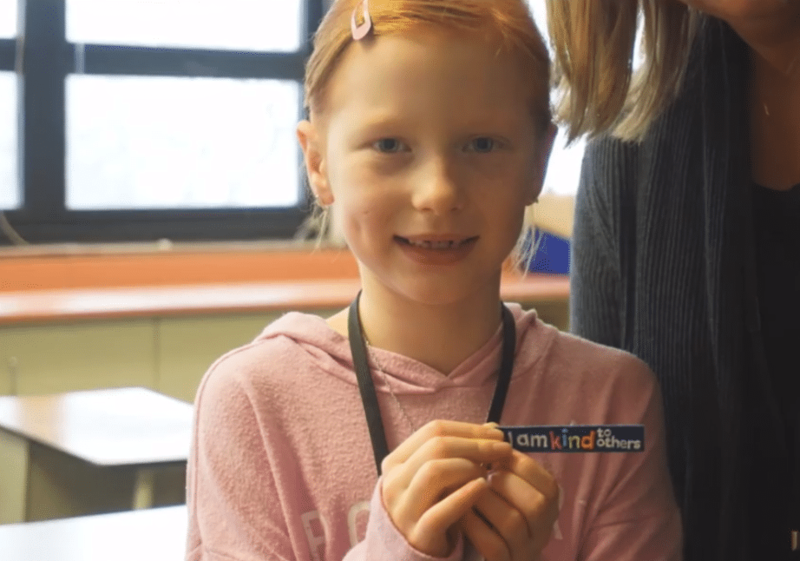 One second grader in Goshen, Indiana is determined to do as much as she can to spread the spirit of giving and love in her community. For the past two years, Olivia Salisbury has dedicated her birthday to a random act of kindness for heroes in her community. Oliva Salisbury, a first grader at the time at Chandler Elementary School in Goshen, Indiana, spent her birthday doing something extraordinary for the police officers in her community. Instead of receiving gifts, Olivia and her friends handed out 58 thank you cards to the officers of Goshen. Olivia’s goal was to encourage the officers of her community and elsewhere. She came up with the idea about a year before after seeing a similar act of kindness. That just goes to show that kindness is contagious. Olivia extends her thanks beyond the police force and says that everyone should be kind towards each other. 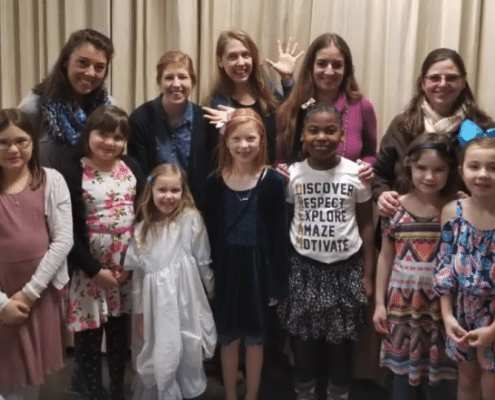 When Homes for Heroes saw the bold act of kindness the young lady made, they chose to show her appreciation for it by throwing a pizza party for her and her classmates. While Olivia enjoyed her party, she remained humble. For the second year, Olivia Salisbury gave an act of kindness to teachers in the community. 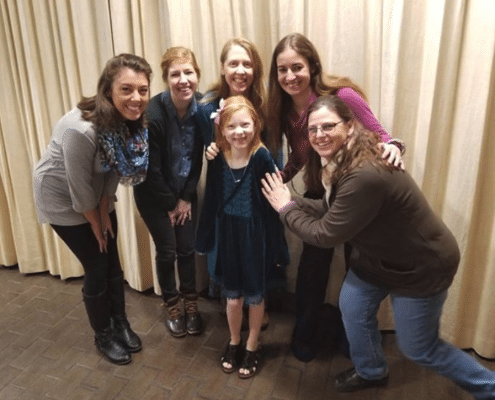 She asked her friends to bring their favorite teachers to her birthday party where they said “thank you” and celebrated with cupcakes and sandwiches. Later, the children gave the teachers a piece of pottery that they made and decorated themselves to show their appreciation for what they do for them and their communities. 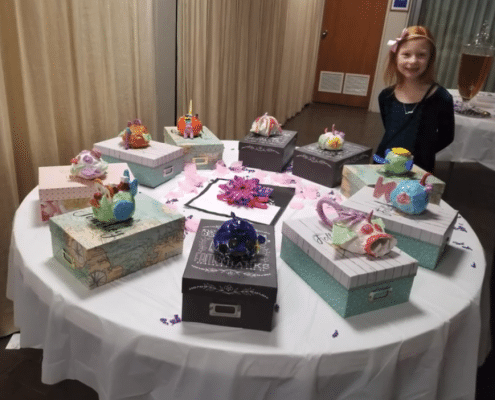 Homes for Heroes heard about her second year of giving and threw her another birthday party at school to encourage Olivia and her classmates to keep finding ways to be kind and show the town’s workers of Goshen appreciation for all that they do. Every February 17th, there is a specific day dedicated to random acts of kindness. It is a day intended to promote good deeds amongst communities nationwide. Several groups and organizations celebrate this day by doing something courteous for someone and showing their appreciation. America is not the only country that recognizes a day like this, though. New Zealand observes their day on September 1st of every year. Random acts of kindness don’t need a special day. There’s always an opportunity to do something good for someone. All it takes is one small act of kindness to start a chain reaction and make a difference. In a world with so much hatred and violence, a kind act from you can change the globe. Olivia’s story and the challenge is something everyone should strive for every single day. It doesn’t take much to do something sweet for another person. Olivia wants to challenge you to do just that. An act of kindness could be as simple as picking up something that someone dropped or helping a senior put groceries in their car. Compassion doesn’t cost a single thing, and all it requires is a willingness to help. When you help one person, you have the power to help many. Kindness is contagious, and it doesn’t take much to spread it around. Be the change in your community and commit to at least one act of kindness every day. It seems like being kind is becoming more and more scarce. We all desire for the world to be a better place for ourselves and our families, but we often react to hatred with even more hate. We must be the change we want to see in this world. If we keep responding to hatred with hostility, we will never break the cycle. We must decide to be selfless and do something with no expectation of getting anything in return. If more people in this world shared acts of kindness versus acts of violence, the world would be a more pleasant place to live. Homes for Heroes offers a variety of ways to kindly give back to the heroes in our communities. We offer rewards for buying, selling, and refinancing homes, as well as discounts for heroes at their local stores and business. Homes for Heroes was created to say “thank you” to those who serve us and our communities daily throughout the nation. The Homes for Heroes Foundation gives back to heroes in desperate need of financial assistance or housing. Everytime a home is sold or purchased, Homes for Heroes donates a portion of the profits to the foundation. The foundation then issues grants to organizations dedicated to assisting heroes like teachers, police, military, firefighters, and EMTs with financial assistance and emergency housing. Olivia’s story and the challenge should inspire us all to commit to an act of kindness every day. One small action can contribute to making the world a better place for us all to live. A simple smile and “hello” can turn someone’s day around and inspire them to do the same for someone else. An act of kindness might just prevent an act of violence. Kindness spreads like the seeds of a dandelion. All you have to do is blow it, and you never know where it will end up. Committing these random acts of kindness can be very easy. Something as simple as buying some coffee for your co-workers or paying for a woman’s groceries that’s counting change. Then one day, they might just do it for someone else. And the circle of giving continues! The hatred we see in this world can be depressing, but your actions have the power to change that perception of the world one act of kindness at a time. If you want to see more kindness, give more away.